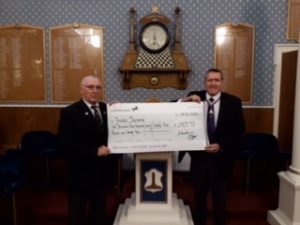 W Bros. Steve Buchanan and Les Francis of Nepos Mark Lodge display a cheque for £1923.70 for monies raised from Steve’s hair and beard shave at Alnwick in aid of supporting Frankie Sherwood in his battle against brain tumours. 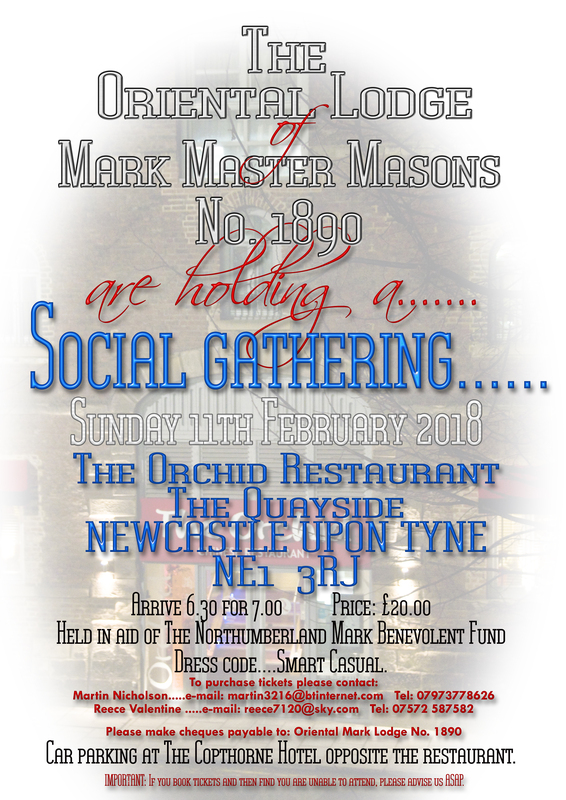 A number of Mark Lodges supported this event including Oriental, Haven, Nepos and Amble plus numerous Craft Lodges. The fund stands about £280.00 which will either go to the Bradley Lowery foundation or on research for this terrible condition. A buffet will be provided and the Brethren express interest to dine, please email danitech@btconnect.com. 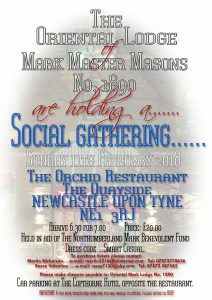 There will be an Open Night at Haven Lodge MMM No 750 is on Monday 12th February 2018 at 7 pm. Dress code for visiting Master Masons is smart casual.